For businesses and thought leaders, publishing content on social media is a good way to build reputation, increase trust and reach a wider audience. LinkedIn Pulse is an online news aggregation feed within LinkedIn designed for members to share self-published content with their audience. The platform generates news stories, blog posts and insights from businesses and individuals looking to build their profile and extend their reach within their target audience. To ensure users receive content they want to see, LinkedIn Pulse can be tailored to each individual. Audiences are also able search for stories of interest by category, popularity and based on who their influencers are. The Pulse platform was originally reserved for well known influencers such as David Edelman, Richard Branson and Peter Guber, who used the platform to share their insights with followers. Now, all LinkedIn members are able to publish their own content. For businesses and thought leaders this is a good way to share knowledge, and build their reputation and credibility. LinkedIn has over 380 million members and has been named one of the top 10 websites with most user traffic on the internet. This means publishing stories on LinkedIn makes content easier to search for on Google, creating an opportunity for businesses to expand their reach to a wider audience. To publish a Pulse post, simply log in to your LinkedIn account and click the pencil icon in the 'share an update' box. Creating a new post allows you to upload text, images and embed videos at the touch of a button. Before you finish, add 'tags' at the bottom of the page to determine which category your post will be placed in. Once your post is ready, simply hit publish and it will be shared with your network. LinkedIn Pulse makes it easy for your audience to find your content by implementing automatic search engine optimisation (SEO). This means your content will be searchable by keywords and based on these, sorted into categories, making it easier for the audience to filter. To ensure your content is categorised correctly, find the most searchable keywords related to your topic and feature them in your article - this will increase the chances of your audience clicking on your content. You only have a few seconds to capture your audience's attention and a catchy headline can help engage readers. Be sure to make it entertaining and interesting as the content of your headline and first sentence is your only chance to draw people to your content, and increase the likelihood it being read and shared. As with all your social media content, your audience should be supplied with new content regularly to keep them interested. Posting irregularly or erratically will not provide you with results, so aim to post once a week. Your followers will know when to expect new content from you and will look for it. To increase your audience reach, it is a good idea to cross-promote your Pulse post content on other social networking sites such as Facebook and Twitter. This will alert your followers on other platforms about your latest LinkedIn content. Also, as a way to bring your audience back to the content on LinkedIn, be sure to include a link to your Pulse story in your social media posts. LinkedIn Pulse is an easy to use networking and publishing tool that you or your business could use to communicate with audiences. It allows you to promote content in a targeted way, providing the opportunity to establish yourself as a thought leader in your industry. 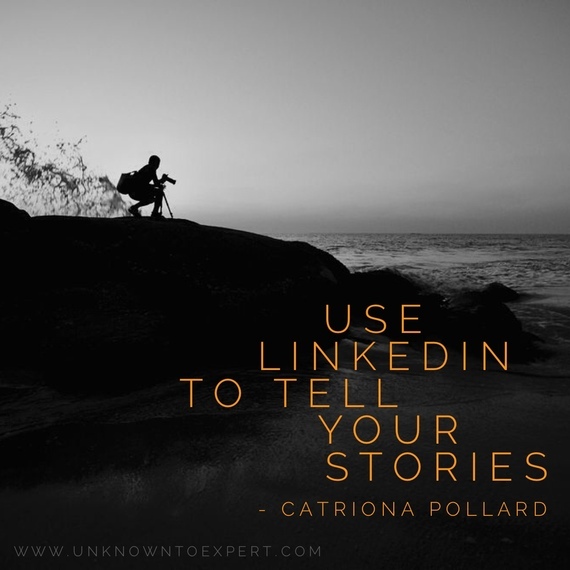 Promoting your LinkedIn Pulse articles across social media platforms will increase your visibility, and create opportunities for you to connect with a wider audience.